.-= Whimsical Wife´s last blog ..Spring cleaning =-. Lovely idea. I’m thinking about grilled asparagus with soft-boiled duck egg for dipping and muffin soldiers this morning. Isn’t asparagus wonderful! Do you prefer grilled or steamed? Sainsbury’s is still selling stuff from Peru – a sad sight. .-= Laura´s last blog ..Hawksmoor steakhouse =-. Hi Laura. I love it as dipping in soft boiled eggs too – so tasty – might have to have that for lunch in fact! 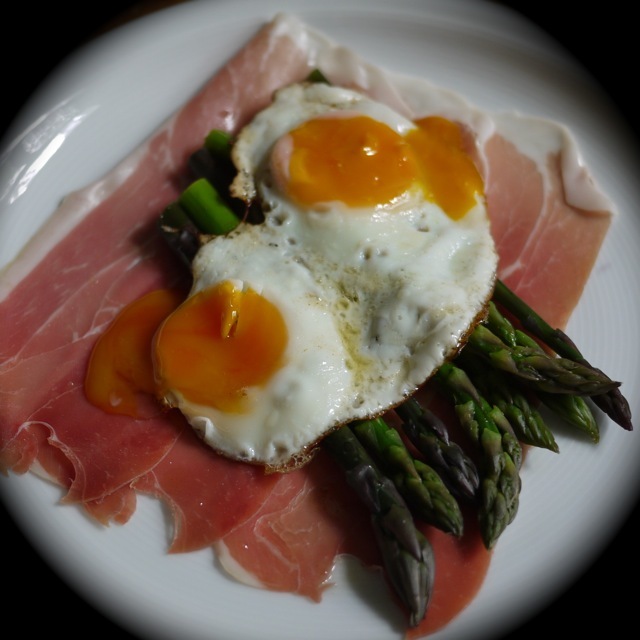 Grilled or steamed is a difficult one as both are so good – steaming probably has the edge for me as its faster so I get to eat the asparagus sooner! Various people have said it lovely roasted as well, I’ve not tried that yet so must give it a go. Waitrose were selling stuff from Peru last week as well – madness.